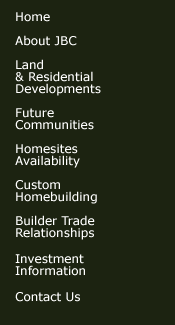 In 1999 JBC Development, LLC continued its vision of development north of Westchester County. The continuation of escalating land prices has forced the developer interested in providing a certain quality of living to the broader market to move north. Millstream Estates, an enclave of 15 new homes developed and built by JBC Development, LLC is located in Pawling, NY. 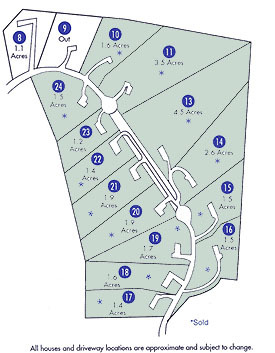 Homesites range from 1 to 4.5 acres. These homes which are nicely appointed are approximately 2600 to 3000 square feet and ranged in price from $350,000-$450,000. Pawling is a community of about 8,000 residents nestled in the picturesque Harlem Valley seventy miles north of New York City. This town is rich in regional history and provides the advantages of many cultural activities including The Pawling Concert Series, community events, The Community Theater, local art shows and historic tours. Recreational programs are some. Its diverse recreational programs re some of the best in the county providing activities for people of all ages, from its beautiful town park to its tots and senior programs. The Appalachian Trail for walking, biking and hiking goes through the town and links with other trail systems at Murrow Park and the Pawling Nature Reserve. 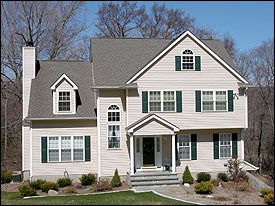 Pawling offers country living with the advantages of nearby urban centers. The proximity of New York City makes an evening out at the theatre either by car or by the Metro North Railroad located in the Village of Pawling convenient. The Village has lovely shops, galleries, restaurants and professional offices. Millstream Estates, tastefully developed offers something for everyone.